You must make reservations at least 5 minutes in advance of the time at Stelvio. 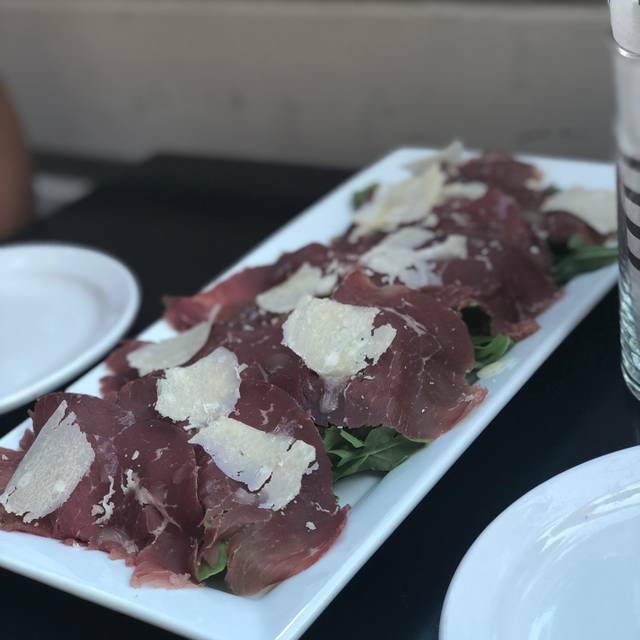 In west Toronto is Stelvio, an authentic Italian restaurant serving classic old world fare using traditional recipes and ingredients. Recipes have been fine-tuned to satisfy the palate of the modern guest, and fresh meals are prepared daily. Guests can indulge in Italian braised Ossobuco, homemade potato gnocchi, deep fried meatballs, rabbit casserole and more. Stelvio serves homemade desserts upon request to finish off any fine meal. First and second courses are available in a classic diner setting, and StelvioÕs professional staff members offer high-end wine and coffee drinks to be paired with any of the delectable meals. Enjoy a first and second course of pasta with a dessert of refreshing chocolate mousse and a traditional Italian cappuccino. I had been looking forward to dining at Stelvio for months. When we finally ate there this past week, both my boyfriend and I were really disappointed. Neither of us liked our pasta dishes (we didn’t finish them), and we both left feeling hungry. For the prices, the portions are very small. Usually I don’t mind this if the food is outstanding, but when it was only average, we felt the value just wasn’t there. 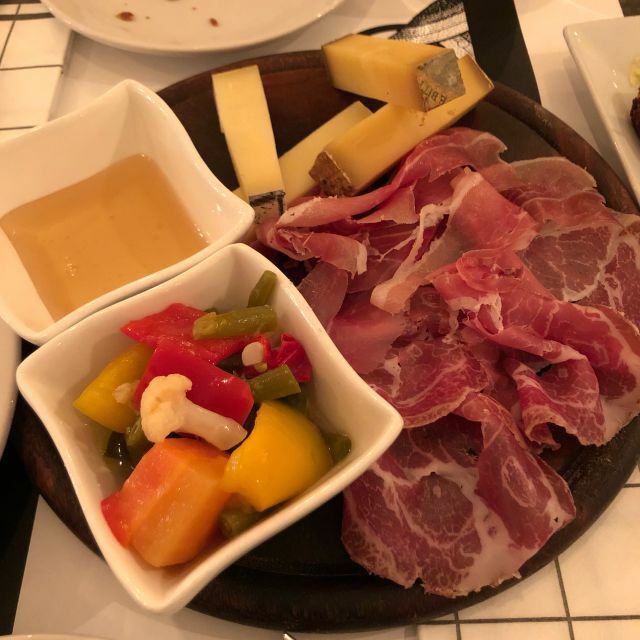 Very nice italian original food. The old cheese with honey was fantastic. We had a great meal on a Friday night. This was our first time to Stelvio and we were both wondering why we hadn’t stumbled upon it before. The restaurant was nearly empty when we arrived at 7, but was completely full by 8. The food was delicious, nicely paced and our servers were knowledgeable and professionally friendly. The decor is simple, modernist but warm....it will be perfect as the pasta bar it is about to become when the new location on Dundas opens in a couple of months. The polenta with mushrooms and sausage was excellent, rich and full of great mushroom flavour, and the veal “on a stick” was also very tasty. The pasta Bolognese has inspired me to try to master that sauce once again. We are definitely looking towards a dinner in the new location. Dinner was very good but the service was not even subpar. Our server seemed overwhelmed and because of that, didn’t come to our table at all. We were able to order our meals and first round of drinks from her and then she avoided our table and was working with her other ones. Thankfully another server was able to get more drinks and to settle up. Truthfully, the tip should’ve went to her. The food here was outstanding. This is not a quantity is quality estabshment. The portions here not what you would expect in most north amarica restaurants. The portions are small and athentic with an extraordinary high quality of ingredients. Eating here was a fantastic experience and I would defenaly go here again. Food was good but portions were very small. Service was terrible and the servers ignored us. They did not greet us when we walked in and were very absent when we needed water. Cute interior but would not recommend this place. Lovely, authentic Northern Italian food. No spaghetti and meatballs here! I loved my simple arugula and fennel salad, and the raviolis with sage butter were done perfectly. It’s a little tight because it’s such a small space, and it got quite loud when a large group came in. But with enough wine you won’t mind. You may even make friends with a neighboring table! Very average food, but the service was friendly. Seems like a place favored by students. Price-value ratio just is not there. Food is great. Traditional northern Italian, Lombardia/Milan/Valtellina recipes. Service is fast, impeccable, absolutely not invasive pushing you to drink or consume more. Price is not cheap, drinks are particularly expensive, but less than other places in town. Anyway the experience is worth the money. A place yo ho and return. Real italian cuisine in the centre of Toronto. 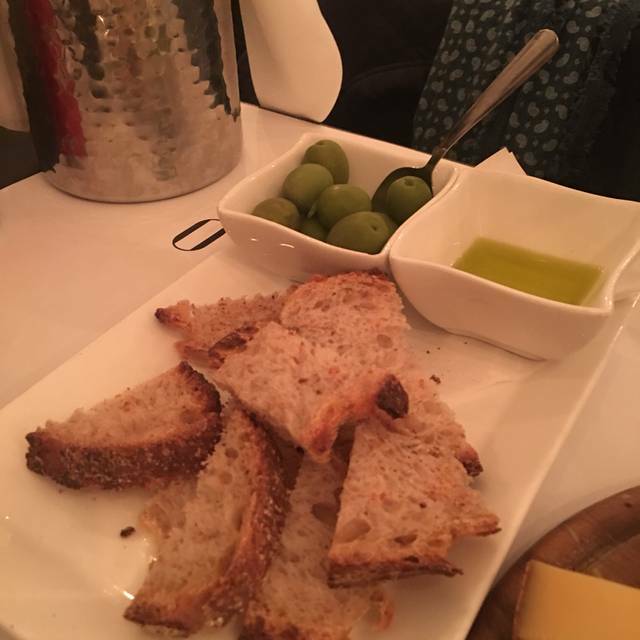 I am italian and I felt at home reading their menu with typical northern italian products. Staff was very friendly and kind. I loved the italian atmosphere. Really enjoyed the food. Very authentic and different from traditional Italian food. Our Server was very friendly and informative. Food is great and really autentic. I’m glad they will be moving to a bigger location as the place is pretty packed (it is very popular and of course a lot of people come to this place). A bit pricy but you need to pay for good food. Went for dinner on Valentines weekend. Service was very quick considering the restaurant was packed. Everything that we ordered was delicious. Portion sizes were a bit small for the price but it was enough to fill us up. The tiramisu for dessert was the best I have ever had. 10/10 would reccomend. The portion were way too small for the price. The ambience was nice, the food was average. Not coming back here again! Overall the experience was pleasant - the atmosphere was not too noisey, the wait staff was very attentive and food came out at a good pace. My girlfriend and I shared shared a salad, gnocchi, and rabbit. The salad was excellent and had good presentation. The gnocchi and rabbit felt like they were missing something (can't put my finger on what, though). 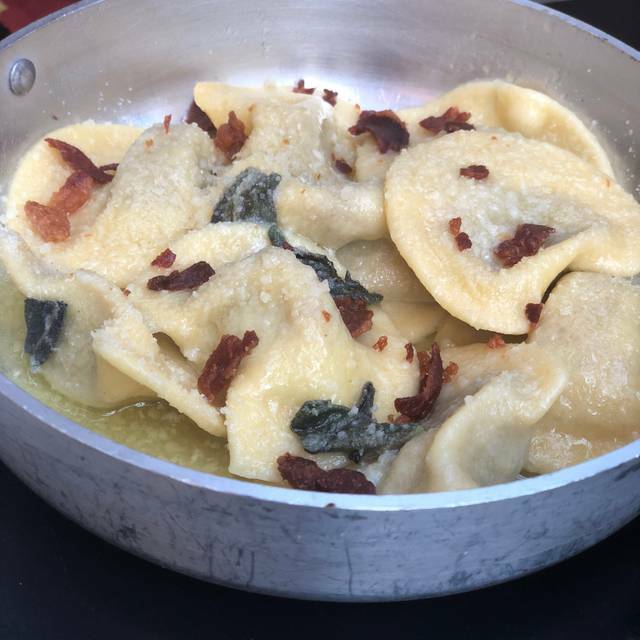 The 2 ravioli dishes and Italian draft beers are perfectly satisfying. Celebrated Valentine’s Day with my girlfriend. Our server was very knowledgeable about the menu and wine selection. 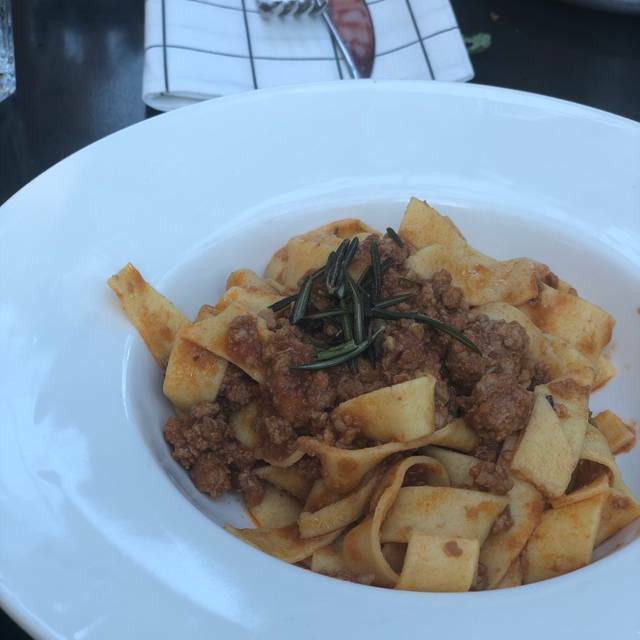 we liked trying the different types of Italian cuisine that Stelvio had to offer! Would definitely come back here, and will be recommending to friends and fam! I found the service to be unnecessarily slow for such a small establishment, I found myself trying to catch the eye of our server way too much. The food was a bit disappointing and the portions were small. Don't go to this restaurant If you're hungry. Excellent food and service, you can tell a lot of care and thought went into the creation of this menu. From the items they serve to where their ingredients are sourced from. Fantastic idea and execution, 10/10 would recommend! Nice restaurant serving typical North Italian dishes. Quite enjoyed the roast rabbit and the Montagna salad. Very good selection of Italian wines from Piedmont, Lombardy and other northern provinces. Price did feel a little steep, but it is on the higher end restaurant category. The area near the exit/entrance felt a bit chilly and had to move further in. All in all, a good choice for a business dinner or a classy date. 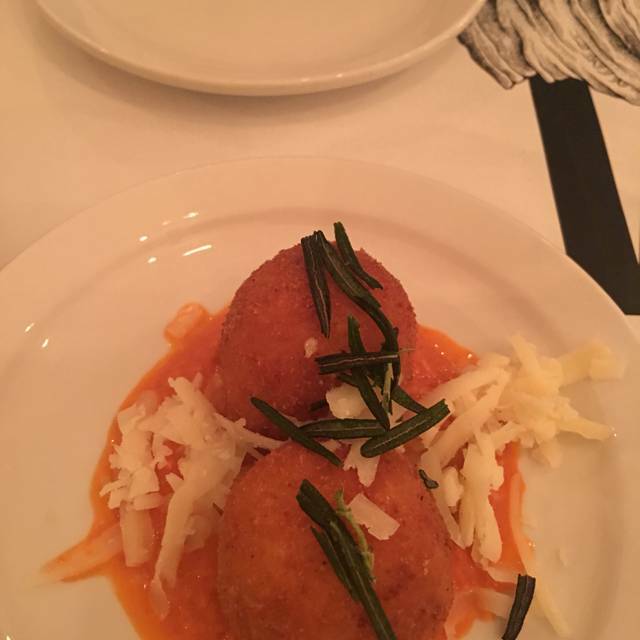 I have to say its one of the best Italian restaurants I have been to in Toronto. Authentic Italian cuisine . Fantastic ambiance, menu, and overall experience. This is genuine Italian food (made me feel at home!) that you can’t get anywhere else in Toronto! The food was excellent. Rustic with good attention to detail. The wine was a little bit pricey. But nice ambience. What a great find! The location is the old "Stem" restaurant, and Stelvio is a great addition to the area. The food was outstanding - we all loved all our dishes. Service was friendly and knowledgeable, and a good and not crazy expensive wine list. We loved it! We go for the gnocchi-best in Toronto!! Authentic and fresh. Interesting menu. Lively atmosphere. Very high wine/alcohol prices. Their least expensive red wine is $60 a bottle. They “ran out” therefore, we had to pay $70 a bottle (for an average quality wine). A pint of beer is $12. I believe mixed drinks were $15. Friendly but understaffed servers. We had a fantastic dinner as usual, amazing food and service. Thanks for all! Great food, nice restaurant, and kind staff. Felt like I was back in Italy. 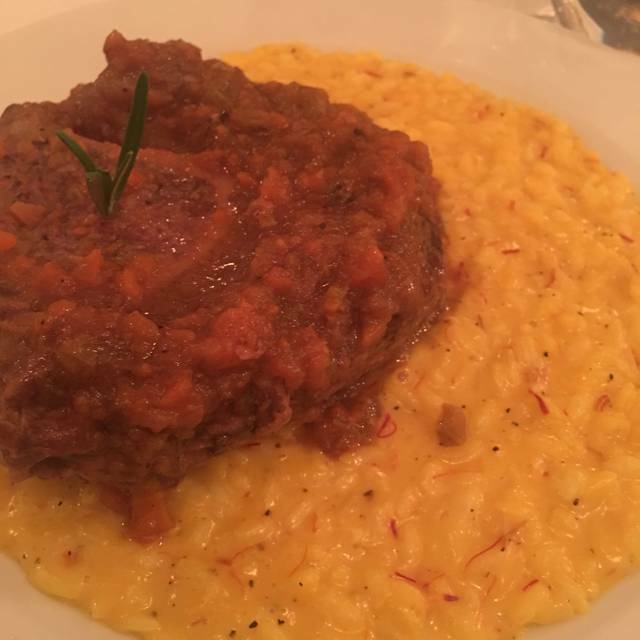 The best risotto alla milanese I’ve had outside of Italy. Truly authentic flavours, and friendly service. Prices are a bit exaggerative but I’d go back for sure. Absolutely delicious!! 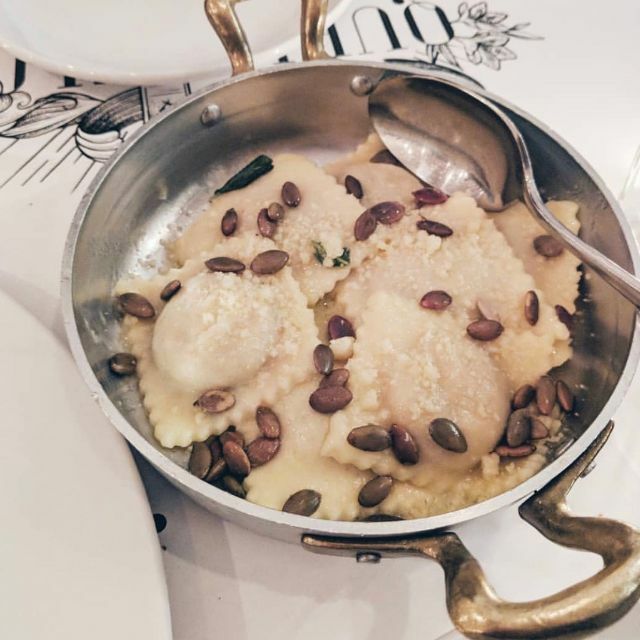 A fabulous place for authentic northern Italian dishes! Felt like we were back in Italy! Thank you Stelvio for the great experience...we will definitely be back to try out the rest of the menu! The food was lovely and of high quality. Their wine choices, however expensive, were delicious. I found the space quite loud and echoey, but we were able to find a quiet table at the back of the restaurant. Great little restaurant, very central location. Service was excellent - as the food is very specific to the region it's good to ask for recommendations. Waiter was great at helping us order and was extremely knowledgeable with the wine selection. Go hungry as the food is quite heavy! 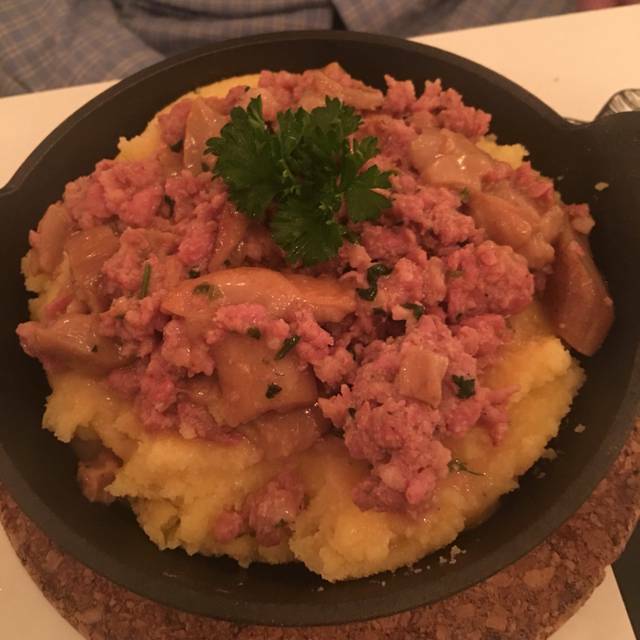 Favourite dish was the Pizzocheri Di Teglio - so good. Although you wouldn't think it, there were lots of kids eating here too (on Saturday night!) so parents don't be afraid to bring your little ones! fun atmosphere. Its a tiny restaurant and close quarters but that didn't matter such a fun atmosphere. The meatballs and the Osoboco (veal) was to die for !!!! Very general portions especially the meatballs good to share. Found this gem on a restaurant on trip advisor. We were attending the theatre later that evening. Our waitress was well versed on the menu and ingredients. we went with her recommendations for an appetizer as she explained portions were sizeable. She was correct. Menu offers a lot or variety. I truly enjoyed every bite . If you’re in Toronto and haven’t eaten here yet you’re missing out. Unbelievable food and great service. Food was terrific. They never asked about dessert and closed the kitchen before we had a chance to order.